As I've said, I approve of the job Brendan Shanahan has been doing as the new dean of discipline. He's brought accountability and transparency to the job, and raised the standard of play, albeit with primarily negative reinforcement, for players. Both things, overall, I like. So, while I don't like that Pierre-Marc Bouchard got two games for his incident with Matt Calvert last night, I realize that's the Wild fan in me speaking, and not the hockey fan. And, when I listen to the hockey fan in me, I realize that the suspension is entirely in keeping with the precedent(s) Shanny has set with his prior suspensions this season. Shanny's consistently giving more games for egregious incidents than his predecessor gave in similar situations. The PMB situation is definitely more controversial than most of the other incidents on which Shanny has had to rule so far. It's clear from the video that Calvert's own action may have been the only reason Bouchard's stick hit him in the face and not lower on his body. So this one isn't as clean as maybe a checking from behind. But Shanahan is consistent in his holding players ultimately accountable for the consequences of their actions, inclusive of this ruling. @BrianHohlen asked me on Twitter whether the suspension sets the precedent that every 4 minute minor high stick warrants a 2 game suspension now. That's a fair point. It seems to me that Shanahan is saying that, when the action is an illegal high stick to the head that causes injury, yes, it does. And, really, what's wrong with that? Was not PMB's stick making contact with Calvert's face within the definition of an illegal high stick? 60.1 High-sticking - A “high stick” is one which is carried above the height of the opponent’s shoulders. 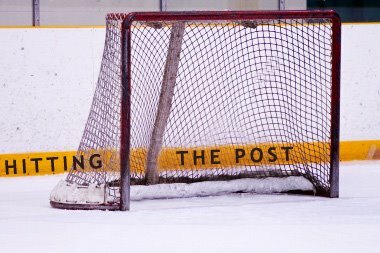 Players and goalkeepers must be in control and responsible for their stick. However, a player is permitted accidental contact on an opponent if the act is committed as a normal windup or follow through of a shooting motion. A wild swing at a bouncing puck would not be considered a normal windup or follow through and any contact to an opponent above the height of the shoulders shall be penalized accordingly. 60.2 Minor Penalty - Any contact made by a stick on an opponent above the shoulders is prohibited and a minor penalty shall be imposed. 60.3 Double-minor Penalty - When a player carries or holds any part of his stick above the shoulders of the opponent so that injury results, the Referee shall assess a double-minor penalty for all contact that causes an injury, whether accidental or careless, in the opinion of the Referee. The language of the penalty does not offer a qualifier based on the actions preceding the stick encountering the face. If we don't like the illegal high stick rule, then we should change the rule. But, as written, it seems to me that, when Bouchard's stick hit Calvert's face, it qualified as that particular infraction. Shanahan did mention PMB's squeaky-clean history over his nine-season career in the video explanation. So, against the backdrop of PMB's track record of compliance, is two games an eye-opener? Yes, frankly, it is. But, again, that's been Shanahan's MO since the preseason started. Opening eyes with his supplemental discipline decisions. Getting players' (and fans') attention. It seems clear to me that the individual suspensions in a vacuum are about more than the individual act. Shanahan's setting precedents. Stakes in the ground. If a check from behind that used to be worth a game is now worth 5, then a player with an unblemished record of clean play who commits a stick infraction that injures an opponent that might have drawn a slap on the wrist under Campbell is now worth two. I think that's a parallel shift. No, I don't like that PMB is going to sit for two games. But I get it. And, further, I still think Shanahan's doing his job. While I think your logic is fairly sound, it states in the rules what the punishment is for an infraction. If the punishment is now a double-minor plus a suspension, that should be listed in the rules, too. Supplemental discipline should be the exception, not the rule, IMO. The NHL stated at the beginning of the season that it was going to crack down on head-hits and give out suspensions, so that sets the precedent for supplemental discipline for those hits - a high-sticking infraction would not fall into those boundaries. It sets a dangerous precedent for possible self-injury to get rid of the other player (kind of like when players were turning into the boards before being hit to set up a boarding major for the hitter). I like consistency, and the only way for Shanahan to be consistent on this is to add supplemental discipline to all high-sticking minors that cause injury - that would leave a lot of NHLers off the ice. Heather: I think the rules are laid out such that the league reserves the right to take a supplemental disciplinary action at its discretion, at any time. I think that's one way around incidents that might expose loop holes in the rules, or simply play so egregious as to warrant additional action on behalf of the league. I think it's clear that the refs handled the situation correctly last night, the double minor being appropriate. But it's Shanny's right to add more to it if he sees fit. I agree that it will be interesting to see how Shanahan handles the next one of these. My feeling is that it will be obvious if players are going out there lifting other player's sticks to try to draw a penalty by getting whacked in the face.